Andrews Automation Ltd design, build and install both standard and bespoke transfer car solutions throughout a wide and varied range of industries. 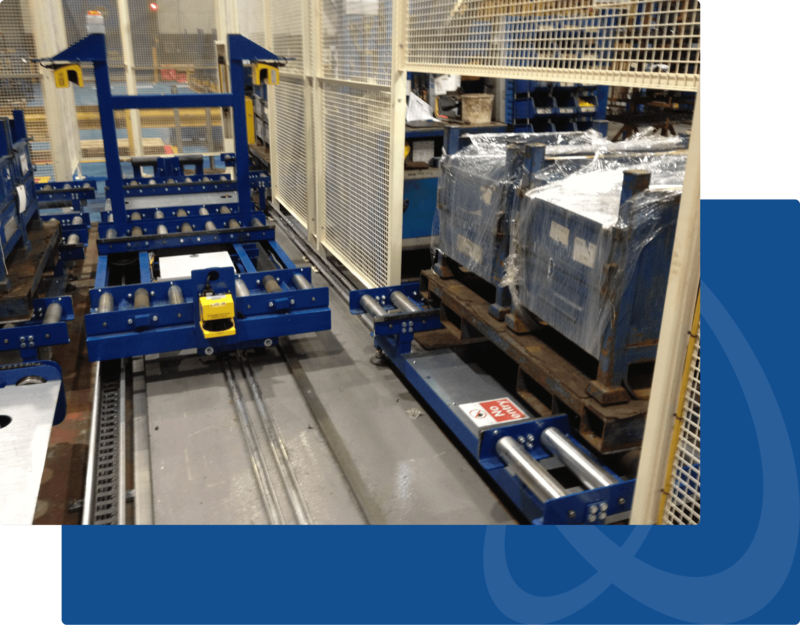 From a basic manually operated push trolley, to a fully automated transfer system, Andrews Automation Ltd can do it all. Whether it be a motor gearbox powered rail system, or the latest laser guided Automated Guided Vehicles ( AGV’s ), Andrews Automated Ltd have the knowledge and technical support at our disposal to provide the solutions you need. 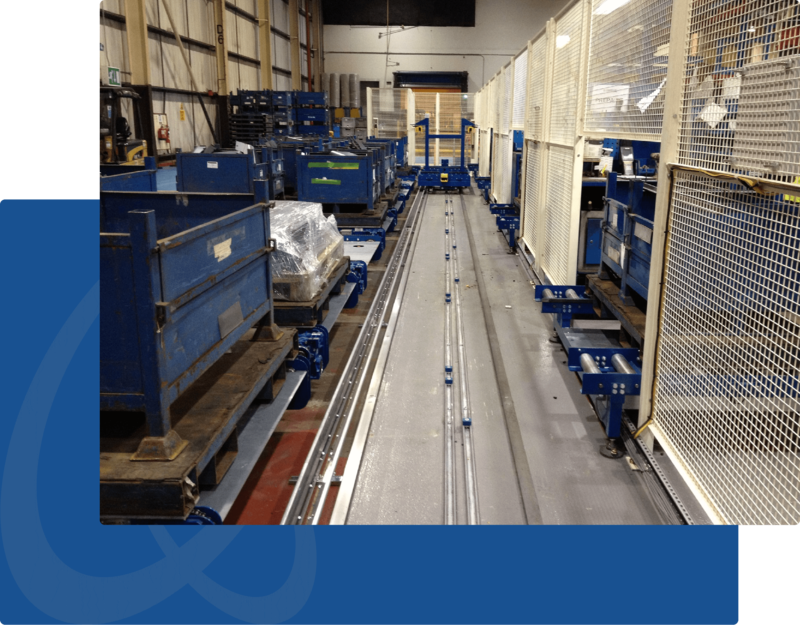 Our push-trolley car systems allow lateral transfer of product between rows of roller conveyor, generally gravity systems. This type of system is a very popular method of conveying within the woodworking industry. Our trolleys can be manufactured to bespoke design and incorporated both trolley and load foot brakes.